Artistic director of Tierra 47 Internacional Harp Festival. 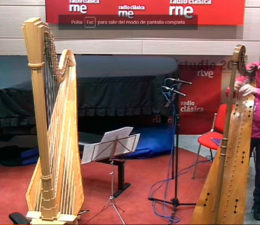 Member of the World Harp Congress, the American Harp Society, Spanish Harp Association and voting member of The Recording Academy which awards the annual Grammy Awards. From the outset of her career, Maryen has given numerous recitals, solo concerts, performed in symphony orchestras, chamber orchestras and stage shows at many esteemed cultural forums and international festivals in Mexico, the United States, Argentina, Venezuela, Peru, England and Spain. Originally from Mexico, she currently lives in Madrid, where her main undertaking is to promote the harp and Latin American music from a humanistic, inventive and contemporary perspective. 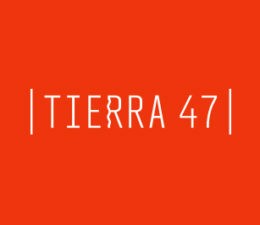 It is from this same aspiration that Tierra 47 has emerged, leading to the creation of a multidisciplinary team whose goal is to craft a harp festival that considers additional perspectives of creation, exhibition, thought, openness and research. Her discography includes Agave Invention, Noa’s Harp Music, Angel Coo, Angel Christmas and the DVD It’s Bedtime, all available on current major digital platforms. She was the recipient of a grant from Mexico’s National Fund for Culture and the Arts (1999), with which she compiled a series of harp pieces based on Mexican children’s poetry. The result was Arpaso a Pasito a children’s beginner harp method for those just starting out in the harp world. She has given numerous lectures on the need to include the study of harp in early childhood education. From 2001 to 2004 she was director of the Music and Dance Initiation School at the Ollin Yoliztli Cultural Center (CCOY) in Mexico City, a space for the creation and promotion of artistic and cultural education under the sponsorship of the Mexico City Ministry of Culture, and where she also taught the harp from 1996 to 2008.